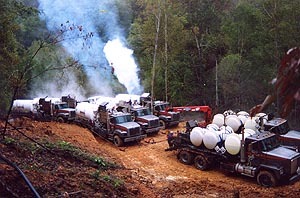 CVR has focused its drilling and development operations in areas of Kentucky and Tennessee contained in the Appalachian Basin. This is a geologic region which runs from western New York down into Alabama, where it joins the Black Warrior Basin. The Appalachian Basin is one of the largest petroleum producing provinces in the country, and has been especially successful in natural gas. 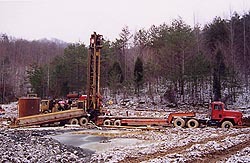 In comparison to other regions, Appalachian production comes from shallow wells that are inexpensive to drill, and yield relatively small volumes over many years. Presently, CVR owns and or operates a percentage interest in over 50 wells located in Meade and Whitley counties in Kentucky and Campbell County in Tennessee. 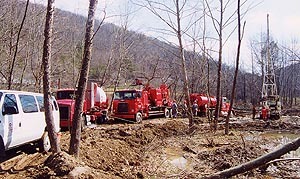 CVR also operates over 200 oil and natural gas wells in Magoffin County, Kentucky that are owned by a sister company, CVR Holding Company, LLC. Prospects are generated using both old and new technology. Computer mapping and information from the “web” has greatly increased the efficiency of “Prospect Generation.” But, success is still measured with the Drill Bit. Land is leased by CVR’s Landmen and Agents. Drilling locations are finalized, put together as Drilling Programs. 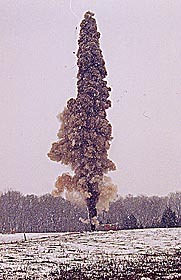 Then a drill rig (Figure 1) is contracted to drill the wells. CVR’s field people and Geologist are on hand while drilling is in progress in order to make decisions about completing the wells once drilled. Geophysical Logs are run in drilled holes to record as much data as possible of the geologic formations penetrated by the bit. 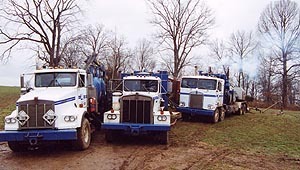 CVR uses the most technically advanced Logging companies in the Appalachian and Illinois Basins, such as Weatherford Wireline Services (Figure 2). Completion procedures are set out by the geologist. Some wells can be commercially productive without being stimulated, but the vast majority of the wells drilled in southeast Kentucky need some form of stimulation to be commercially productive. Several forms of stimulation are used, from the very oldest, where formations are “Shot” using explosives (Figure 3 & Movie? ), to stimulations that use the most recent technology, “fracing” the gas productive intervals. CVR uses mostly large well servicing companies located here in the Appalachian and Illinois Basins, such as BJ Services, Halliburton, and Universal Well Services (Figures 4, 5 & 9). 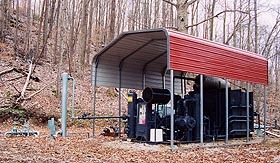 Once the wells are stimulated, pipeline is constructed from the wells to gas gathering systems (Figure 6) which utilize compressors to deliver the produced natural gas into local transmission pipelines (Figures 7 & 8). 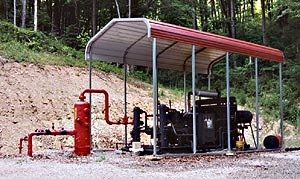 These gas gathering systems are either operated by CVR or by CVR’s Joint Venture Partners, depending on the area. Gas delivered into the transmission pipelines is then marketed by CVR to either end users or to other marketing companies. 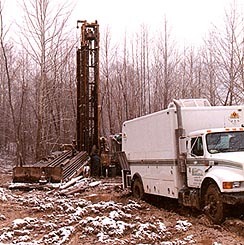 CVR currently has drilling ventures in various stages in all of its areas of operation.